From the SC Election Commission. Myth: The new photo ID law is in effect, and if you don’t have one, you can’t vote. Truth: The new photo ID law will NOT be in effect on November 6th. To vote on November 6th, you must have a S.C. Driver’s License, a S.C. DMV ID card, or a voter registration card. The new photo ID rules won’t take effect until January 1, 2013. Even then, there are safeguards in place that allow any voter to vote on Election Day, whether they have a photo ID or not. For more on the new photo ID law, visit scvotes.org. Myth: South Carolina has “early voting,” meaning anyone can vote early for any reason. Truth: South Carolina has “absentee voting.” You must meet one of 15 reasons for voting absentee. To vote absentee in person, visit your county voter registration and election office. To vote absentee by mail you need to apply first. Call your county voter registration and elections office to have one mailed to you, or download your application at scVOTES.org. Myth: Straight party voting does not apply to President. You must vote for President first before voting straight party, or your vote for President won’t count. Truth: Straight party voting applies to President and all other partisan offices on the ballot. It is not necessary to select President first. It will be very clear on the voting machine when your choice for President is selected. The names will be checked and highlighted. You can also verify your selection on the review screen at the end of your ballot. Myth: Absentee votes don’t count unless the election is really close. Myth: If you go to the polls wearing a t-shirt supporting your candidate, you won’t be allowed to vote. Truth: It is true that the display of campaign material is not allowed within 200 feet of any entrance to a polling place on Election Day. This law applies to posters, pamphlets, brochures, signs, buttons, hats, t-shirts, etc. Voters with campaign material will not be turned away, but will be asked to remove the material, cover the material, or otherwise cause the material not to be seen before being allowed to vote. Myth: Due to so many people voting and long lines, the election is being extended until Wednesday. Truth: There are no Election Day extensions. Election Day is November 6th, 2012. Polling places will be open from 7:00 a.m. to 7:00 p.m. If you are in line at 7:00 p.m., you will be allowed to vote. Myth: I can’t vote because I’m disabled and need assistance. Truth: Voters with disabilities and voters who are unable to read or write may vote and may request assistance in the voting booth. If you need assistance in marking your ballot, ask the poll manager. You can choose the person you want to assist you as long as they are not your employer or officer of your union or an agent of your employer or union. 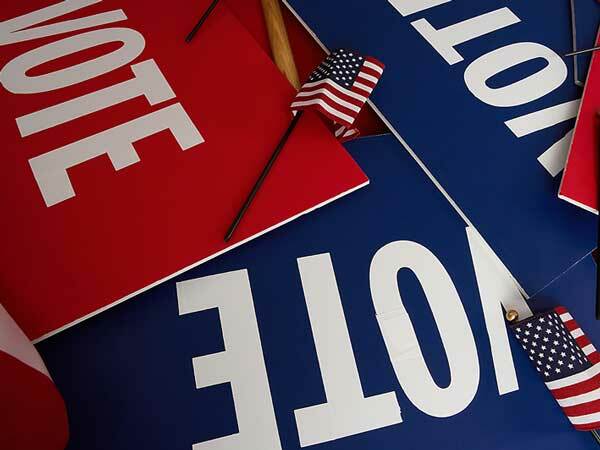 For an expanded list of election myths regarding voters with disabilities, click here .